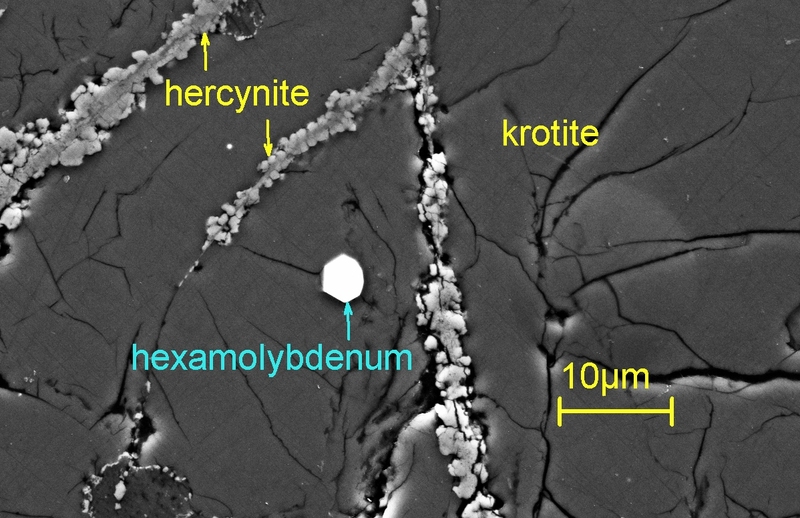 Hexamolybdenum: Mineral information, data and localities. The name hexamolybdenum refers to the symmetry (primitive hexagonal) and composition (Mo-rich). A Mo-dominant alloy. The Mo analogue of ruthenium, osmium, hexaferrum and garutiite. 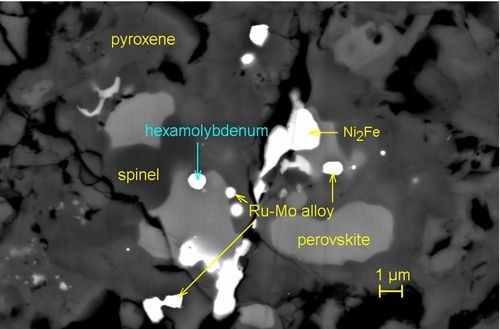 Reported as a link between (1) Os- and/or Ru- and (2) Fe-rich meteoritic alloys. It may be a derivative of (1) and a precursor of (2). Perovskite 1 photo of Hexamolybdenum associated with Perovskite on mindat.org. Hercynite 1 photo of Hexamolybdenum associated with Hercynite on mindat.org. Krotite 1 photo of Hexamolybdenum associated with Krotite on mindat.org. Ma, C., Beckett, J. R., & Rossman, G. R. (2014). Allendeite (Sc4Zr3O12) and hexamolybdenum (Mo, Ru, Fe), two new minerals from an ultrarefractory inclusion from the Allende meteorite. American Mineralogist, 99(4), 654-666. Ma, C., Kampf, A.R., Connolly, H.C. Jr., Beckett, J.R., Rossman, G.R., Sweeney Smith, A.A., Schrader, D.L. 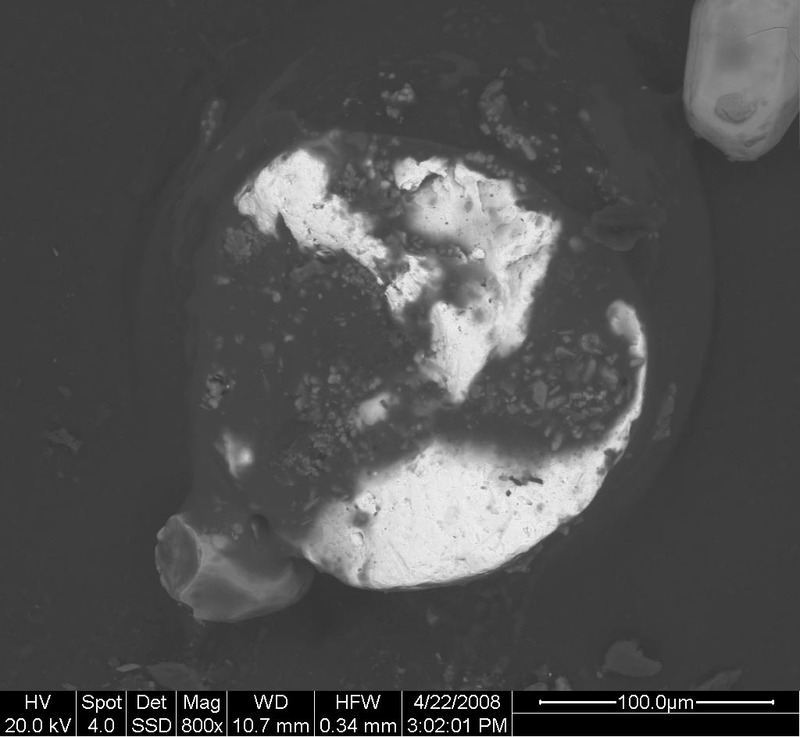 (2011) Krotite: a new refractory mineral from the NWA 1934 meteorite. American Mineralogist, 96, 709-715.